Today I had a good day with food it was all prepped as usual. Had to fly past home after work and went to attend a rugby referee course. It was really good fun and spent most the evening playing touch rugby whilst take turns to referee. I got back home and collapsed in the sofa knackered. I then used my electronic massager on my quad to try and relieve pain from my hip. 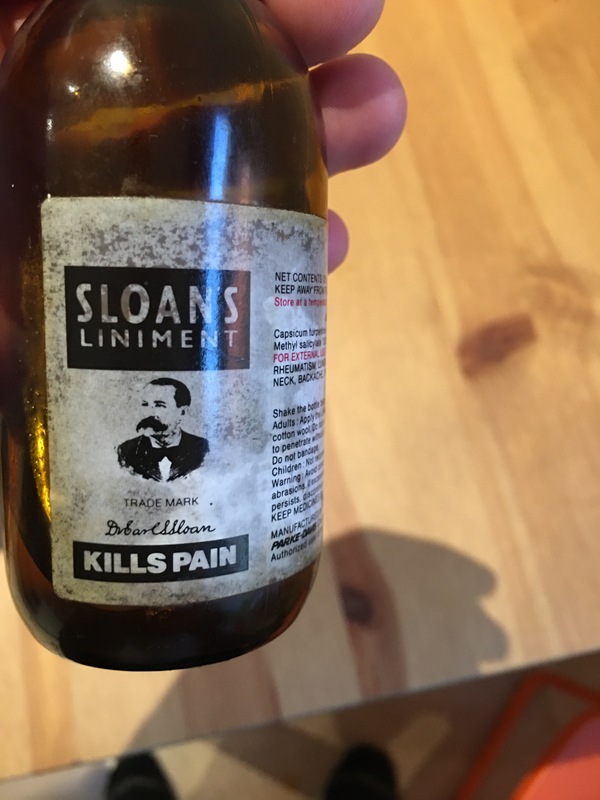 A friend from work had recommended and lent me some oil called Sloans Liniment it was really good. It was a bit like the feeling you get from deep heat I had some of it spill onto my boxers which wasn’t a comfortable situation. Really worked well though so will be buying some.